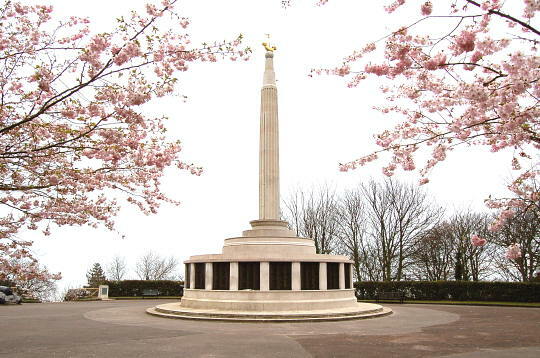 The RNPS Memorial in Belle Vue Park, Lowestoft is solely for those serving RNPS personnel who died 1939-46 and who have no known grave. Please note that those who died and whose bodies were recovered are not included on this memorial. 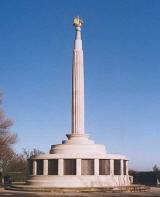 The memorial, maintained by the Commonwealth War Graves Commission, comprises a 12 metre diameter base with a central 15 metre fluted column surmounted by a gilt bronze lymphad. 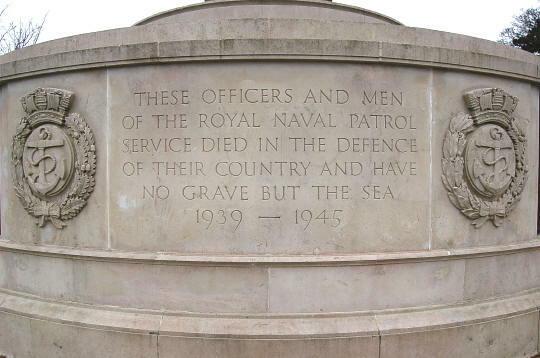 A panel of portland stone describing the purpose of the memorial faces the sea with seventeen bronze panels listing the names of those remembered around the rest of the base. There is also a small addenda stone is set into the ground of those who died on land but have no known grave. The records on this site have been compiled from the definitive ledger provided by the Commonwealth War Graves Commission. The Association is not at liberty to make alterations to these entries but those with knowledge of errors can approach the CWGC to ask for a record to be amended but you will need to be able to show documentary proof. To view by surname, date of loss or by name of vessel please click on the appropriate link. The blue text at the end of many records is as a result of further research, the source being given in brackets, or data received from relatives of the deceased. Details have been checked but there will doubtless still be some errors. Any that you spot please email the details. If the error is of fact please supply details of your source.